The Ultimate Seattle Seaplane Experience! Are you a pilot? Or would you like to be a pilot? The weather's great for flight training, and haven't you always wanted to fly a floatplane? Contact us to kick off your seaplane adventure! Want to know what's going on down at Lake Union? Theo has the news for you! Check out Theo's Blog: Seattle Seaplanes Dog Blog. 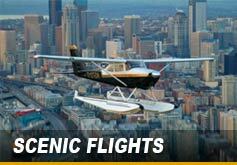 Interested in joining the Seattle Seaplanes crew? Check out our current openings on our employment opportunities page! Gift certificates are available for all of our flight services. Contact us for details. In 20 minutes we'll cover over 31 miles of beautiful Seattle. So bring your friends, relatives, or a date, because this is definitely an experience worth sharing. On our 20-minute scenic flights, you'll enjoy an eagle's view of the Ballard Locks, The University of Washington, Bill Gates' Estate, the Space Needle, downtown Seattle and much more. Romance is in the air on our dinner flights. In a short time you could be dining on a neighboring island. 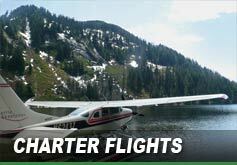 Seattle Seaplanes offers charter flights and tours to Mount Rainier, Mount St. Helens, the San Juan Islands, Victoria, and other locations throughout the Pacific Northwest. Let us know where you want to go and when you want to get there. Have you always wanted to learn how to fly? Seattle Seaplanes is one of the few places in the USA that offers private pilot training in a seaplane! Already know how to fly, but want to have some real fun in an airplane? 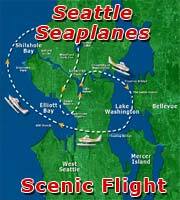 Come to Seattle Seaplanes to earn your Airplane Single Engine Sea rating! 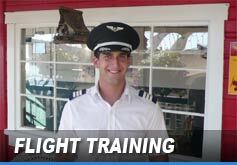 Find out more about our Flight Training programs.